Everyday we hear of a new recommended strategy put forth by analysts on Wall Street. Some of the supposed smartest people in the business recommend sector rotation strategies, others a new found pro-growth approach, still more prefer a style that accentuates value, and others investments that generate income. There are seemingly as many strategies on Wall Street as there are strategists. 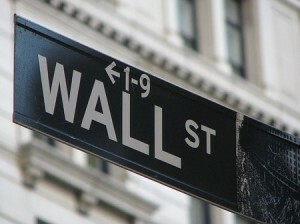 Washington and Wall Street are skilled at utilizing smoke and mirrors to advance their collective agenda. The simple fact is most of our Washington operatives do not understand basic financial concepts. The reality of the situation is that our supposed leaders are content to remain blind to the realities of finance as long as Wall Street continues sending campaign funds their way. Fortunately, others in our nation take a more impassioned view of the world and aggressively question where Washington often passes. To this end, I thank a friend who shared the following letter highlighted today at the Project on Government Oversight on our new favorite topic about the lack of transparency at the SEC. This letter is comprehensive in addressing a number of critically important points. Do you ever wish that we could have representatives from these organizations questioning not only our elected officials, but also our appointed officials such as Mary Schapiro? I wish that all the time. Please take a few minutes to ponder the issues embedded in this letter. Ask yourself whom you really believe are protecting your interests.